Did you know today is National Men’s Grooming Day. Men worldwide are paying more attention to their appearance than ever before. Beauty treatments for men have been gaining popularity and beauty brands have been coming out with a number of male grooming products every year ranging from skincare products to fragrances and hair styling products to electronic grooming products. Braun recently launched a range of six new products called the Braun Styling range which aims to deliver exceptional precision and agility to help every man achieve an uniquely groomed look all over. One of the new launches is Braun Multi Groomer (RRP: £69.99) with which one can shave, style and trim just about any beard style you can imagine. 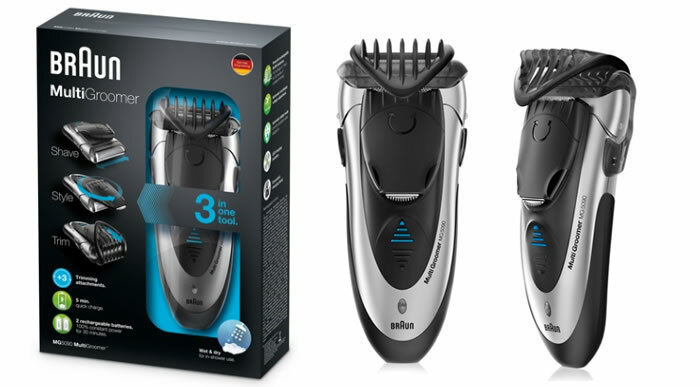 The 3-in-1 system allows you to trim, style and shave all with one product. Mr.H will be putting this new 3-in-1 groomer to test and will share his views shortly on the blog. In the meantime, you can visit this page for more information. This sounds great. Hubby was saying he needed a new shaver for his beard. It's not to pricey either. Not pricey and its a 3-in-1 too!